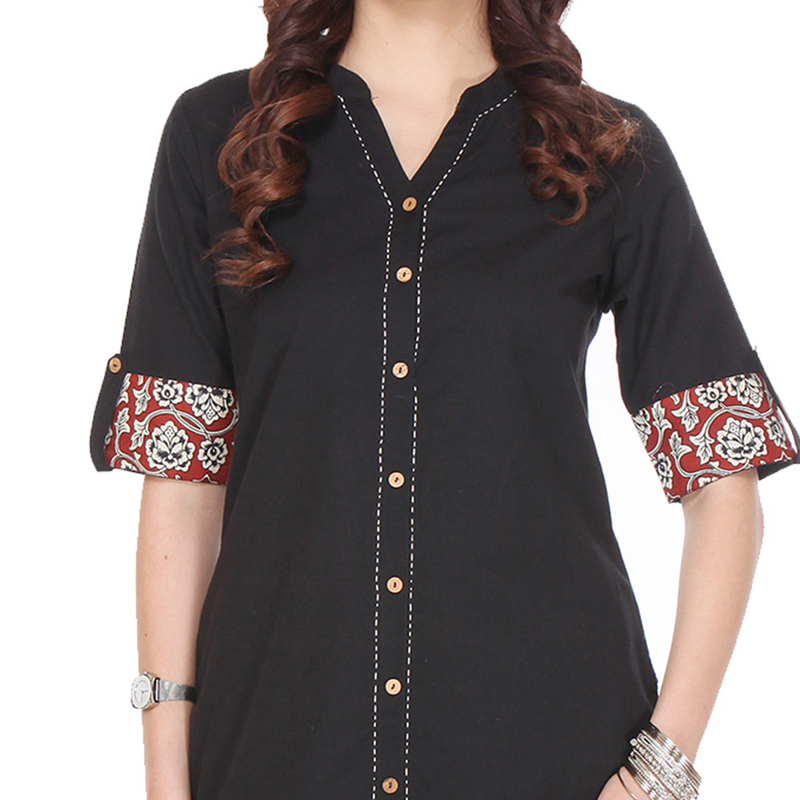 Add more style to your casual look with this black stitched kurti detailed with floral design print work done at the sleeves cuff. 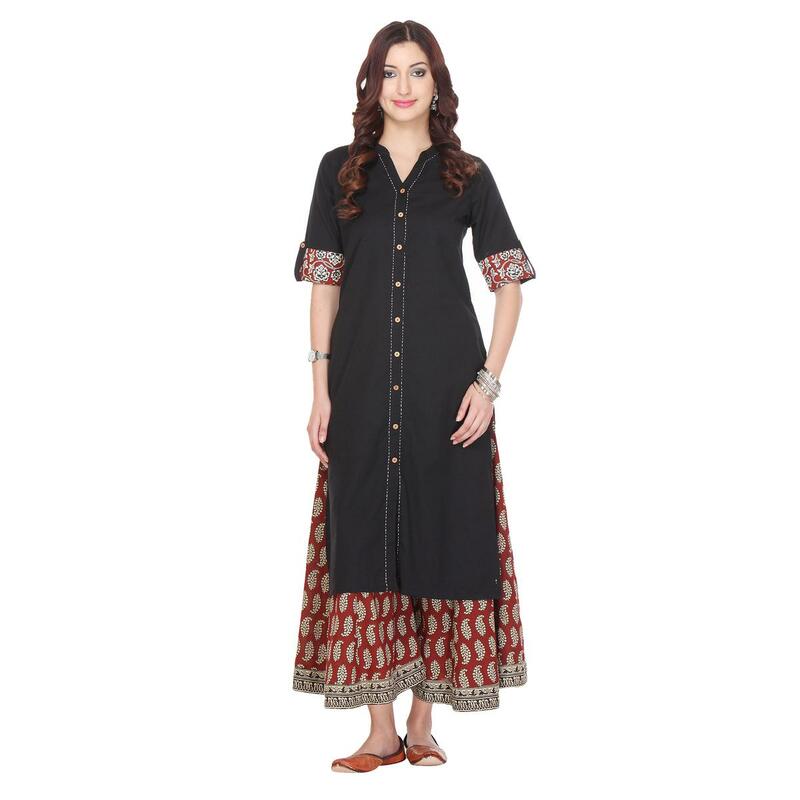 This kurti is made out of rayon fabric, which is comfortable to wear & care. Dress it up by wearing this kurti matching palazzo or leggings for a complete look. Ideal for casual outing & social get together.